PHILADELPHIA—In an effort to boost attendance and reward fan’s patience with the young, error-prone ballclub, the Philadelphia Phillies announced a new promotion Friday offering fans free pizza if the team doesn’t blow any easy on plays while on defense in the top of the 5th inning. 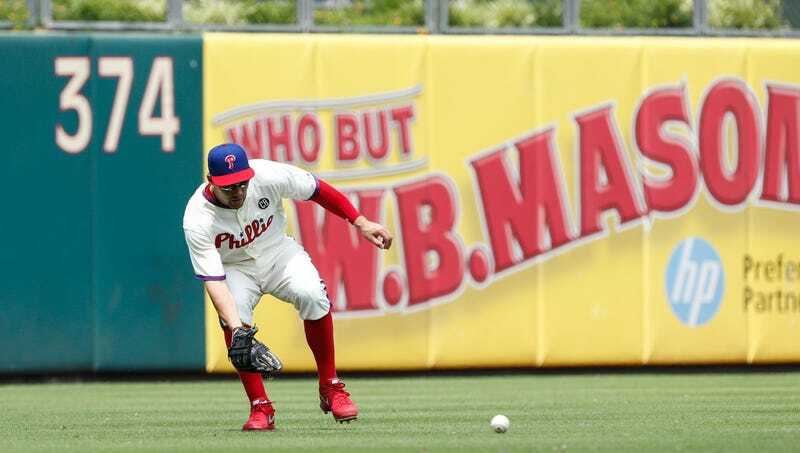 “We’re excited to offer our fiercely passionate fans a large one-topping pizza of their choice, provided the team can string together an inning of mistake-free baseball,” said Phillies’ Director of Public Affairs Scott Palmer, adding that fans would also receive a free order of breadsticks if two players managed to properly communicate over a fly ball without smashing into each other. “We’re already beginning to notice a new sense of excitement at the stadium, even though fans recognize how unlikely it is that we record three consecutive outs without someone bobbling a textbook grounder or overthrowing first base by a country mile.” At press time, fans were reportedly pouring out of the stadium after a passed ball triggered a huge 5th-inning rally for the division rival Marlins.